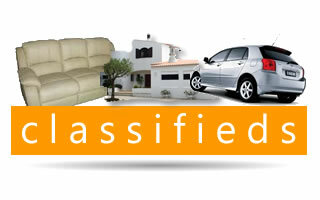 Welcome to the Algarve Daily News Classifieds section! Our classifieds section for private advertisers is the perfect place to advertise if you have something you want to buy or sell, or perhaps a service you offer or require. Adverts with 1 picture are FREE and you can place up to 5 adverts at any one time. Registration is required, enabling you to login and manage your adverts at any time.